Dr. Rachel Ballard Mehr is a board certified Family Medicine physician with 8 years of practice experience. Her interest in medicine began at a young age, with her father and many other family members and mentors being physicians. Dr. Mehr is currently one of 18 physicians and dentists in her family. 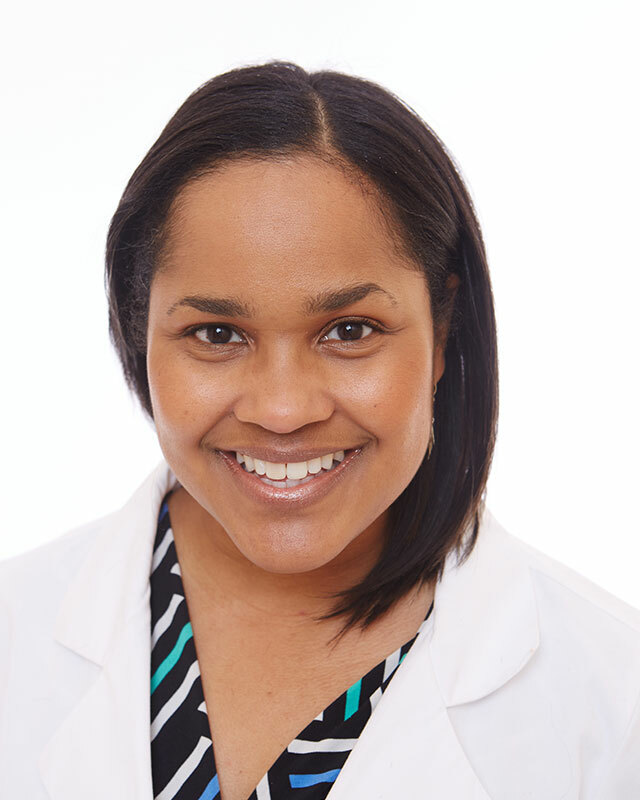 She attended Meharry Medical College, where she became very strong in primary care and learned to care for the underserved, who often presented with advanced stage illness and had very complex and challenging cases. She received the Outstanding Family Medicine Student award in medical school and received honors in multiple rotations. She then completed three additional years of training in Family Medicine Residency, where she trained in evidence based medicine, doing most of her rotations in Nashville Metro General Hospital (including rotations in primary care, hospital medicine, women's health, surgery, dermatology, pediatrics, OBGYN, and more). She has additional pediatric training with elective rotations at Vanderbilt Children's Hospital and Vanderbilt Children's Hospital ER. She values staying current with the most accurate and up to date guidelines, completing over 200 hours of Continuing Medical Education yearly, including monthly seminars, and several conferences yearly. Dr. Mehr prefers to help her patients stay well. However, when major illness arises, she is very inquisitive and strong in diagnostic and treatment measures. She then incorporates natural and supportive measures to aid her patients in their healing process in combination with other evidence based treatments. Her goal for all of her patients is overall health, happiness, and good quality of life. Through attentively listening to her patients, she considers the whole person and their lifestyle when creating patients' health plans. In addition to practicing medicine, Dr. Mehr enjoys spending time with her husband (Dentist Dr. Kamran Mehr), two young children, family and friends. One interesting note is that Dr. Rachel Ballard Mehr is also a well-trained violinist. Growing up, she auditioned and qualified to have her violin lessons sponsored by the Julliard School of Music. In her lifetime she has won numerous competitions, completed concert tours with The Houston Youth Symphony, then becoming a member of The Nashville Youth Symphony, and has been accepted to the highest levels of both the Texas and Tennessee All State Symphony Orchestras. She served as concert mistress of her undergraduate orchestra at The University of Tennessee, Knoxville and also served in the university's Opera Orchestra. While in college, she taught private violin lessons to children. Dr. Mehr also played a short while in the Nashville Philharmonic Orchestra. For her, it was always medicine or music. She chose medicine. Honors in Psychiatry and Family Medicine Clerkship.